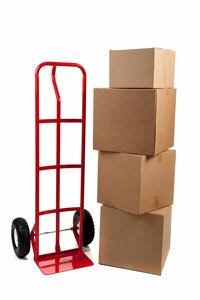 How do we know that we are the best movers in Atlanta? Because Atlanta residents and businesses have made us the only Metro area movers to earn the Consumer’s Choice Award for nine years in a row – and we plan on earning it again and again. Since 1982, we have held a firm commitment to providing the most professional, courteous, and ethical moving services in Atlanta. Our highly trained staff of more than 100 full-time, non-smoking movers have the in-depth knowledge and skill to safely and securely pack and load residential and commercial items of any kind for local, cross country, and even international travel. Since we never subcontract, your belongings don’t change hands. They stay with dependable Bulldog movers every step of the way. No fees for unused boxes if you choose to pack yourself. Our 80 percent repeat customer and referral figures prove that our services are unparalleled. If that isn’t enough to convince you that we are the best movers in Atlanta, then take a look at our impressive list of clients, which includes the University of Georgia, Tyler Perry Studios, and more. We even had the honor of moving Governor Purdue out of the governor’s mansion upon his retirement. If you want to experience our superior moving services for your household, apartment, antiques, piano, or office move, contact Bulldog Movers. For more information on why we are the best movers in Atlanta, Marietta, Roswell, Smyrna, Alpharetta, and anywhere across the Metro area or to get a fair estimate for your move, call or email us now.